Was mother of your grandmother not beautiful? Did your grandmother not have soft, supple and glowing skin? I am sure you all say yes, they were all beautiful ladies. If you have grandmother then just simply ask about her beauty regimen. They will not suggest you any cosmetic products or cream. They will suggest you some of the natural ingredients for a healthy and radiant skin. One natural ingredient which I am talking about is “Ghee” which is also known as clarified butter. Ghee has been used for centuries by our ancestors to live a healthy life style. Benefits of Desi Ghee for skin, hair and health, are well mentioned in Ayurveda. So let’s know how you can use Ghee for Maximum benefits for skin, hair and health. It has been suggested by experts that Gir Cow Ghee is more beneficial than simple Desi Ghee. So let’s know some the best uses of ghee for for skin and hair and health. This is just simple and effective which you can do to your skin. You just need to apply a few drops of ghee on your skin and it will keep your skin moisturized all the day. Ghee is a natural moisturizer and it work great on all skin type. After application of ghee on your skin you should wash your skin after 10 min. This is natural moisturizer which you can make yourself. It is best and very effective moisturizer. It has the ability to replace your moisturizer which you bought from the market. Ghee can make your lips soft and hydrated all the day so your need to just apply a few drops of ghee on your lips daily to keep your lips moisturized. You also will be away from any side effect even if you lick it unknowingly. It is not just cures dry and chapped lips but it is also very help full to lighten dark lips too. Application of ghee on scalp increase blood circulation hence boost hair growth. So you just take a small quantity of worm ghee and do massage. It can also be used to get rid of dry and frizzy hair. Mix 1 tsp of olive oil and 1 tsp of ghee. Apply it on your head for soft and smooth hair. If you apply this mixture on your hair ends it will cure split ends. Overall you can use ghee as I told above for healthy, strong and lustrous hair. It is a super food which gives you instant energy. It can be absorbed easily as it is contains medium chain fatty acids. Excess of anything is harmful. But if one take ghee in a moderate quantity it is very helful in lowering the cholesterol level. Being a rich source of medium chain fatty acids, it prevents the growth of viruses in the human body. It is an all-time natural remedy for Asthma. Either you consume it or apply it is very beneficial to soothe asthma. In olden days people used to apply ghee on the chest of infant to soothe cough and cold. 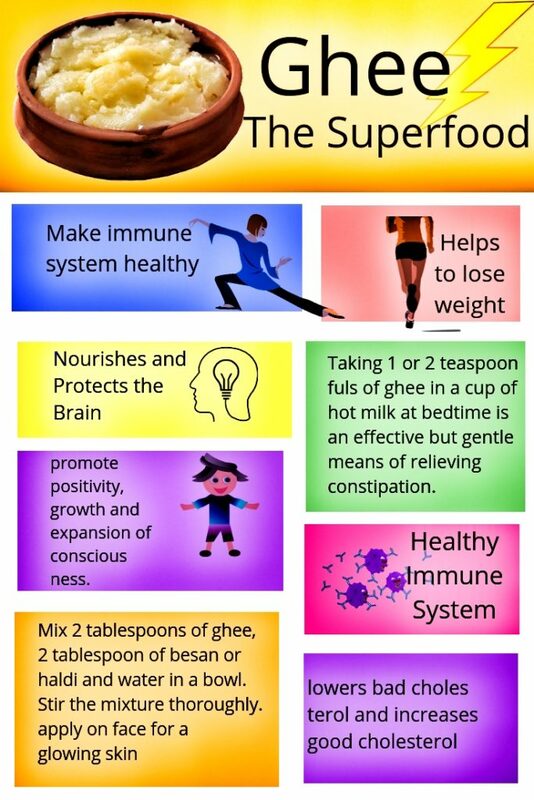 Take 2 tsp of ghee to get rid of constipation which is, due to inadequate bowl movement. Due the presence of short chain fatty acids it helps in digestion of food. It has been used for centuries to treat Glaucoma which is a dieses resulted in vision lose. Regular consumption of Ghee increases your eyesight too. Ghee has Vitamin K2 which is essential Vitamin for healthy teeth. Daily intake of ghee make your teeth and gum strong. 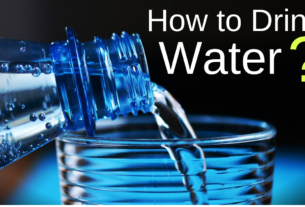 Hope you like this informative article. 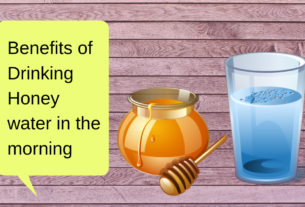 If you know more Benefits of Desi Ghee for skin, hair and health, please share them with me. Check my YouTube Channel Beautiful You for more useful health and beauty tips. Thanks for sharing such informative article about Indian ghee product and its benefits.